Seating is one of the most basic features at transit stops. 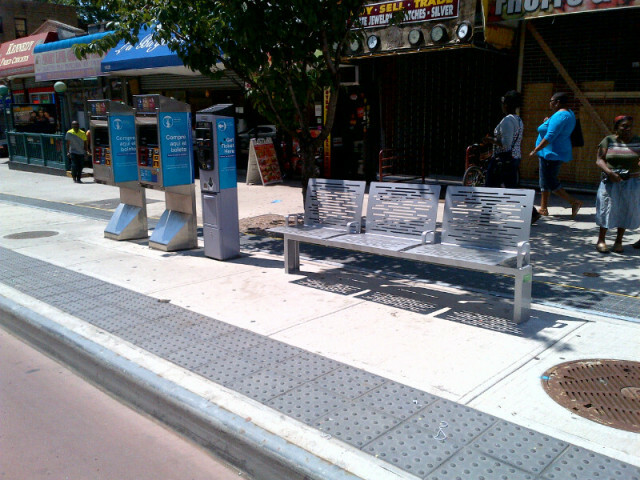 Seats are an opportunity to incorporate attractive design and durable materials into a transit stop. Seats should be designed or selected on the basis of comfort relative to expected wait time and boarding demand at a stop. 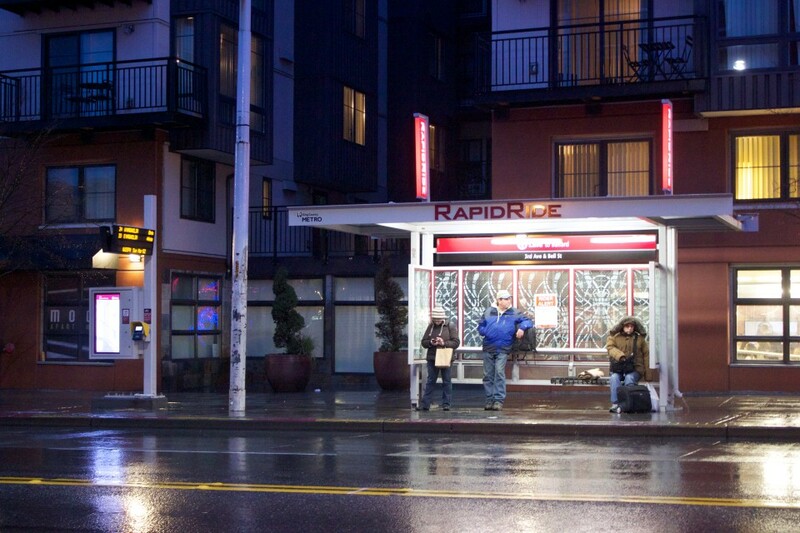 Providing comfortable seating at or near transit stops dramatically improves the comfort of the passenger experience. Comfortable seating can provide valuable resting places whether or not a transit trip is involved. The provision of seating at transit stops should be prioritized with the goal of improving comfort for the greatest number of passengers. Stops with a moderate or high number of boardings should be furnished with seating, as should stops with long wait times and stops with relatively high use by senior and child passengers. 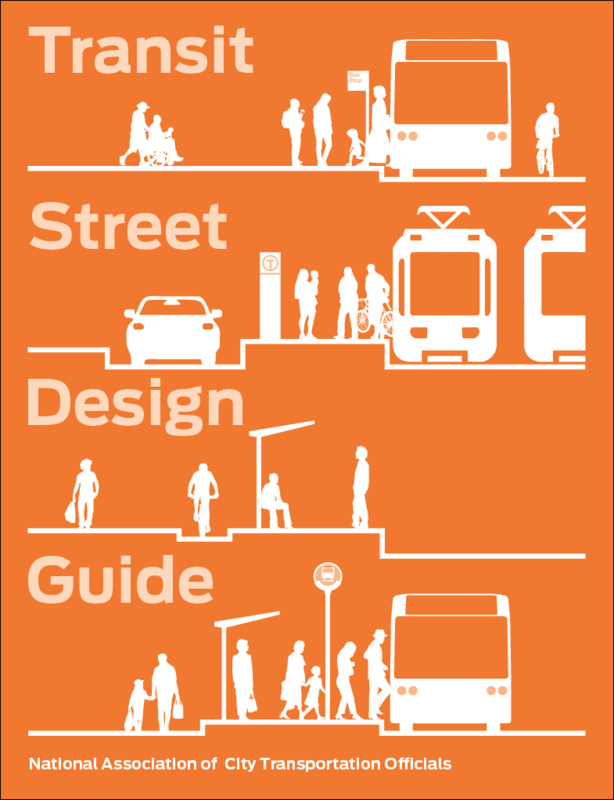 Observe peak hour queues at stops and stations to determine the adequate number of seats to install. Seating shall not conflict with paths, leaving 4 feet of clear distance on all sides where pedestrians are expected (3 feet minimum, ADAAG §403). Benches may be contained by or affixed to shelters. Benches shall be at least 43 inches long, and 20–24 inches wide, with the seat 17–19 inches above ground level (ADAAG §903). Ensure benches are designed to prevent accumulation of water. In hot, sunny climates, avoid materials that retain heat (i.e. metal in direct sunlight). At small stops, provide several individual seats or a bench with raised separation between seats. 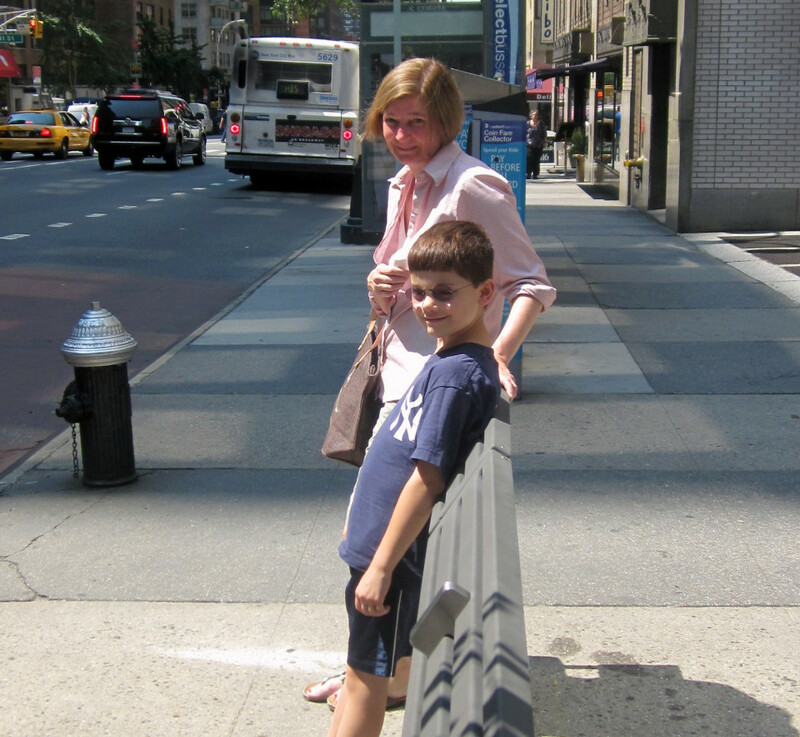 At stops with high boardings, provide other opportunities for resting, including lean bars. Shallow benches wrapped around shelter elements can also provide seating for a large number of waiting passengers. The most minimal accommodation, a leaning rail, rises 30–38 inches and allows passengers to rest while waiting. Can be used to channelize pedestrian movements to and from boarding platforms when placed at the back of the boarding area. Should be offset 6 inches from the non-boarding edge of boarding islands, and 1 foot from the edge of bike channels.